The film shows contrail formation, including showing “broken” contrails. 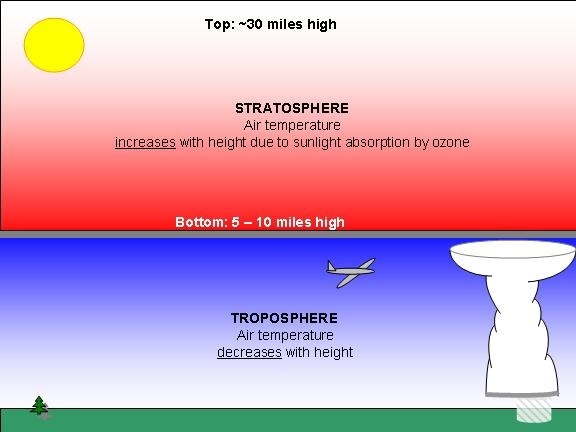 Make sure you listent to the audio, as it explains how high the planes are, how cold it is, and why contrails form. This brought back distant memories, but so distant as to not remind me exactly when I saw the film that had this clip in it. Thanks for the memory. It must have been hard to extract any enjoyment out of being a twenty-year-old crewman taking off maybe in the dark to set off for deadly confrontations with flak and fighters in a brightly-lit sub-zero stratosphere, wondering how you could possibly get through a tour of duty before your number came up. Don’t show it to BLoblaw005 – he’ll deny it has any validity AND say the vapor trails aren’t persistent – all at the same time. At about 42 and 48 seconds you’ll see contrails “blip” from one of the aircraft in shot – they disappear for a second from all 4 engines – I guess this is because they pass through a small volume of air that has different characteristics – a volume that adjacent aircraft do not pass through. And from 50-58 seconds (roughly) there is a bomber in the foreground not generating contrails, while those higher in the background all do – illustrating the relatively short distances that can affect contrail formation. Most likely a thermal. A column of rising warmer air. 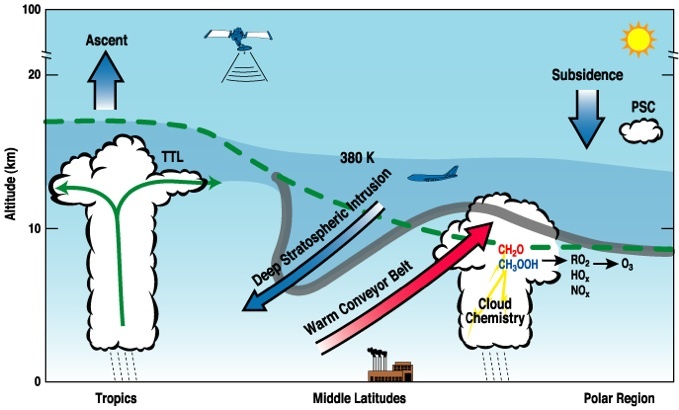 Not so likely at the tropopause or above, surely? 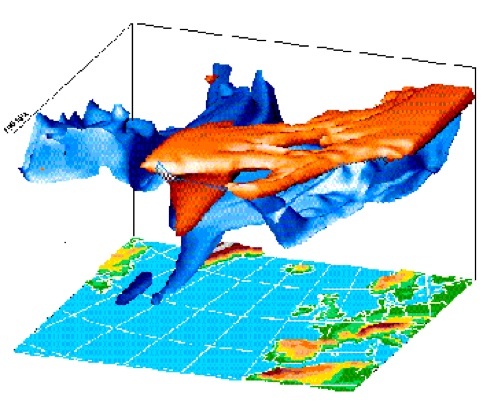 Troposphere reaches up to 11km minimum, as I learned for my license. That’s around 36060 ft – the bombers were climbing to 25000 ft, according to narrator. That’s still in “weather” range. Yes, lots of weather at 25,000 feet. Sailplane pilots have ridden thermals up over 30,000 feet, and mountain waves up to 50,000 feet. There’s lots of movement in the atmoshere – that’s what turbulance is.